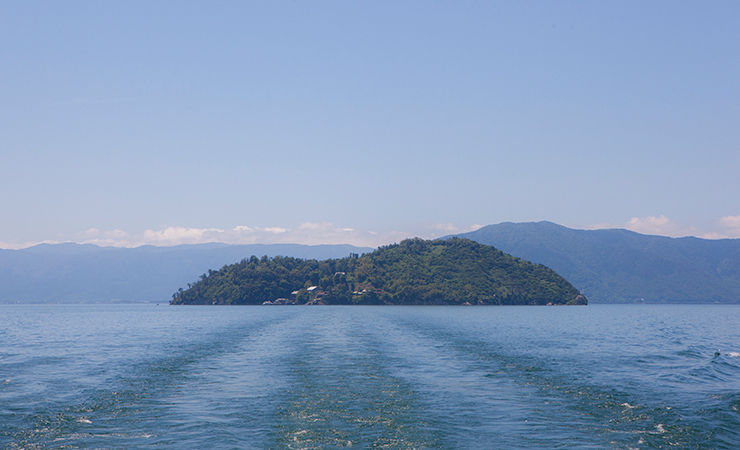 Shiga Prefecture’s most distinctive feature is Lake Biwa, the largest lake in Japan. It looks like an ocean! Shiga has not only a beautiful landscape with Lake Biwa, but also numerous historical sites, which were stages for drama in history, due to its location close to Kyoto. 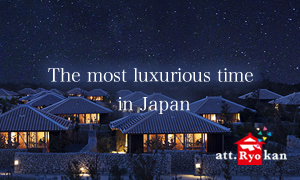 Make a little side trip from Kyoto or Osaka to Shiga and enjoy a relaxing and interesting time there. 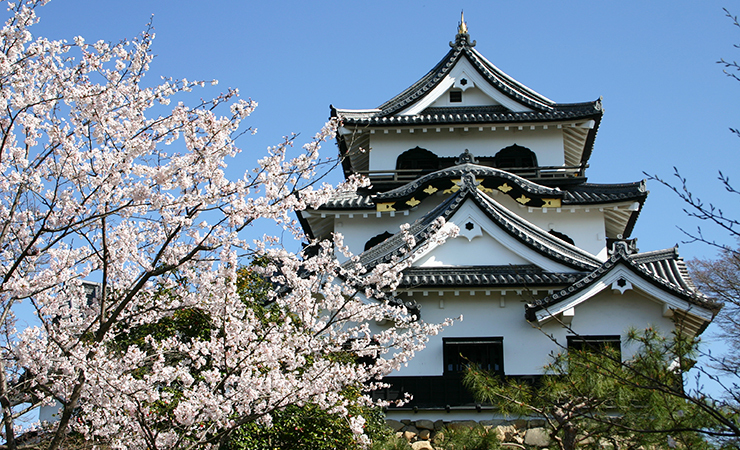 As one of the five National Treasure castles in Japan, with more than 400 years of history, Hikone Castle gives a different impression with its beautiful white castle tower depending on the angle from which you are looking at it. When you are at this castle, you should see “Hiko-nyan,” a mascot character of Hikone City. He greets visitors to the castle everyday! 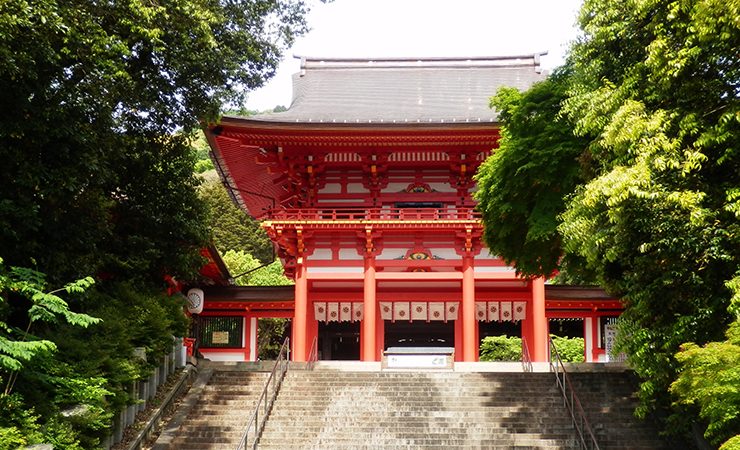 This shrine is dedicated to Emperor Tenji, who moved the capital city to Otsu in the middle of the 7th century. Since the waka poem by Emperor Tenji is the first poem in Ogura Hyakunin Isshu (a classical anthology of 100 waka by 100 poets), this place hosts many competitions of Hyakunin Isshu karuta (card game). 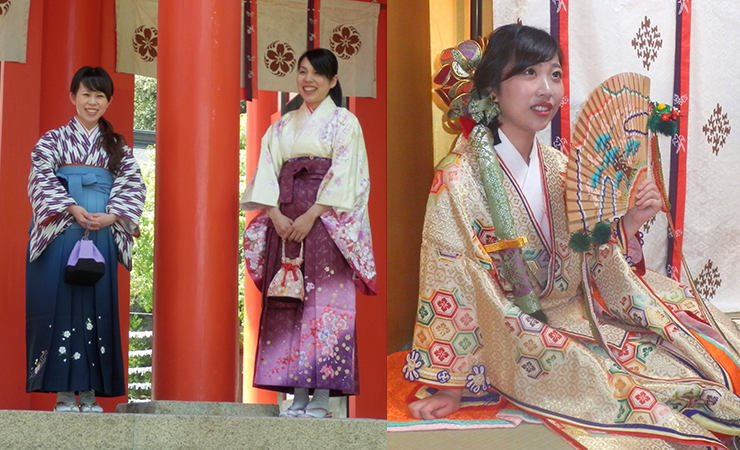 It is also the setting of the popular comic “Chihayafuru.” It offers a kimono-wearing experience session, in which you can walk around the premises wearing a traditional kimono. 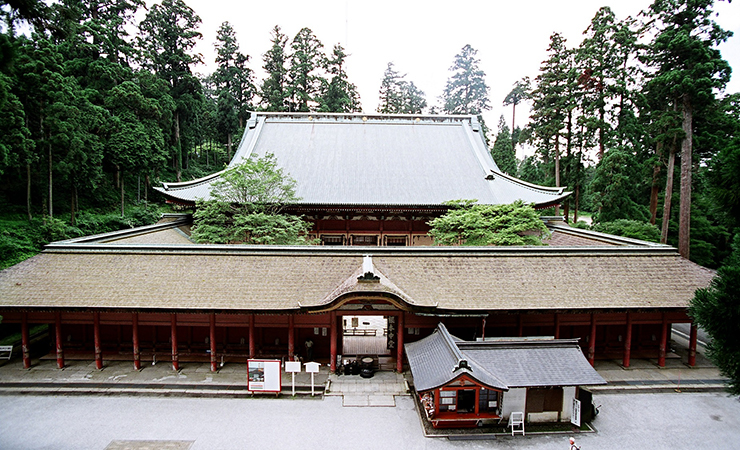 Founded by the Buddhist priest Saicho in 788, this is the main temple of the Tendai sect of Buddhism and the entire large premises are registered as a World Heritage Site. The temple has long been a place of ascetic training, from which many high priests were produced. 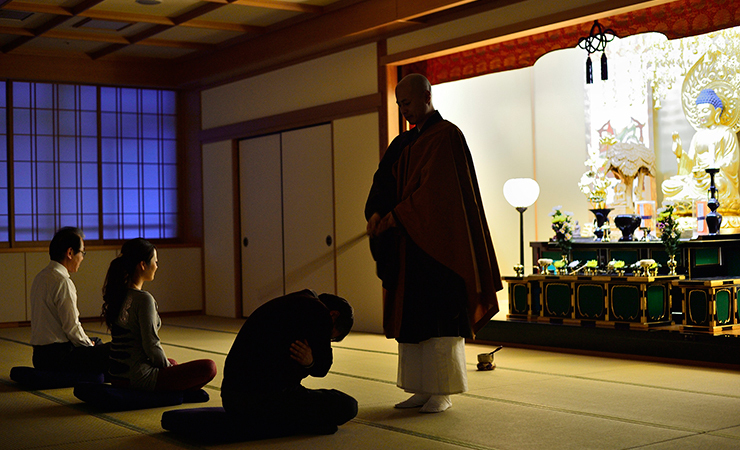 Enryakuji Kaikan hotel offers ascetic-training experience sessions, including zazen (seated meditation) and shakyo (sutra copying), as well as serving shojin-ryori (vegetarian) food. Chikubu Island in Lake Biwa is home to Hogon-ji Temple, the 30th temple of the Saigoku Kannon Pilgrimage, and Tsukubusuma-jinja Shrine, which is famous for kawarake-nage (a ritual in which you toss small clay discs to get good fortune), making the whole island a popular spiritual spot. To get to the island, you can take a daily cruise boat from Nagahama Port. Visit the island by boat feeling the breeze on the grand lake, and be immersed in the spiritual atmosphere of the island. 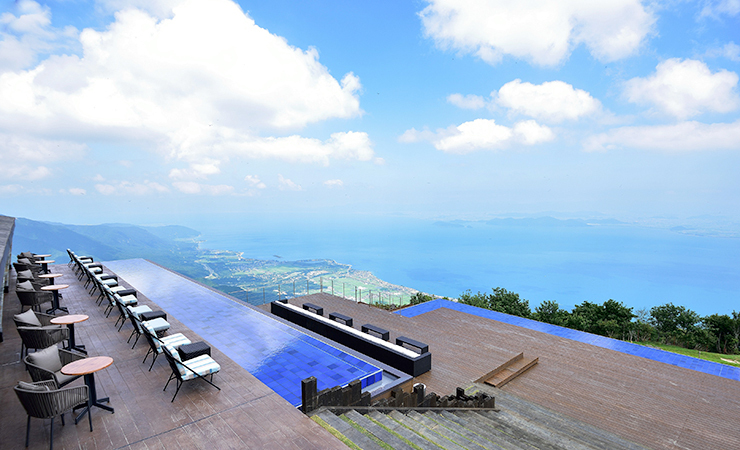 Arriving at the peak of the 1,100-meter mountain by Japan’s fastest ropeway, you will be at “Biwako Terrace.” You can have a grand, sweeping view of Lake Biwa, sitting on a sofa in a relaxing atmosphere. 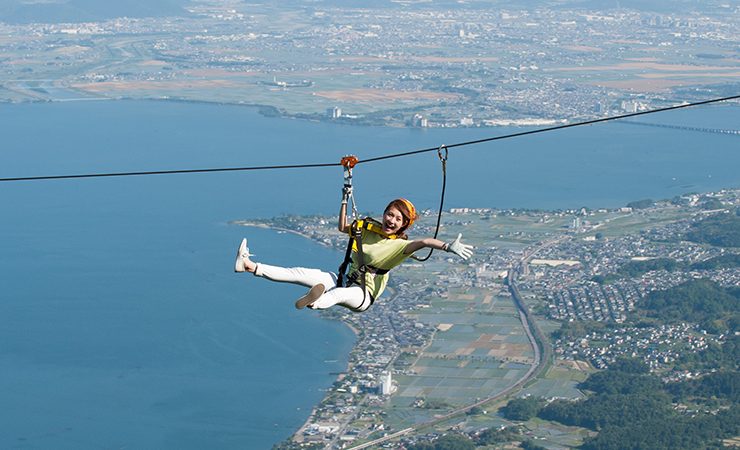 The place offers various activities in summer, such as an exciting zip line, and also serves as a popular ski area close to Kyoto in winter. 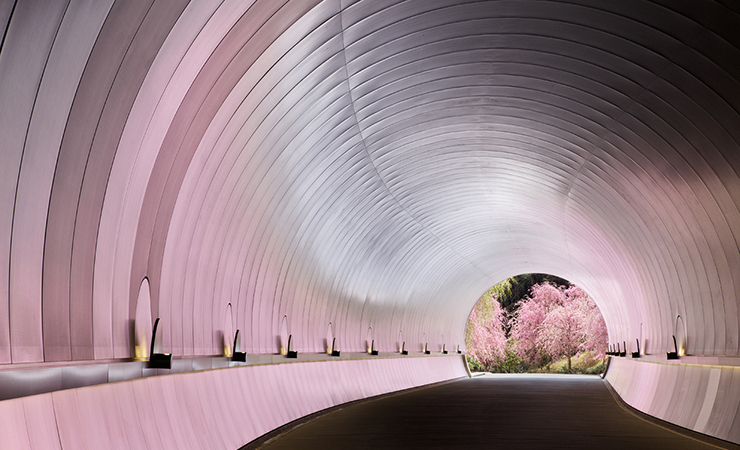 A museum exhibiting a variety of Japanese art works and ancient art works from all over the world. 50 min by bus from JR Ishiyama Sta. 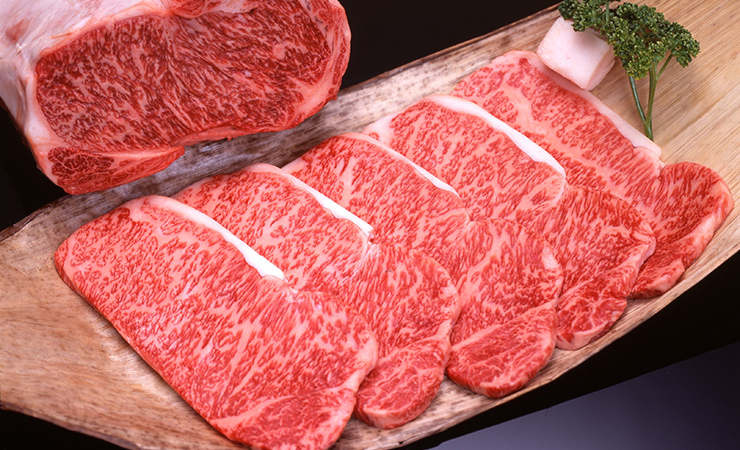 From cows raised in abundant nature, Omi Beef is one of the four top Wagyu beef brands in Japan. 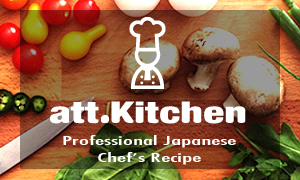 The beef is characterized by its tenderness and sweet yet non-greasy fat. You can enjoy Omi Beef casually in an Omi beef burger. 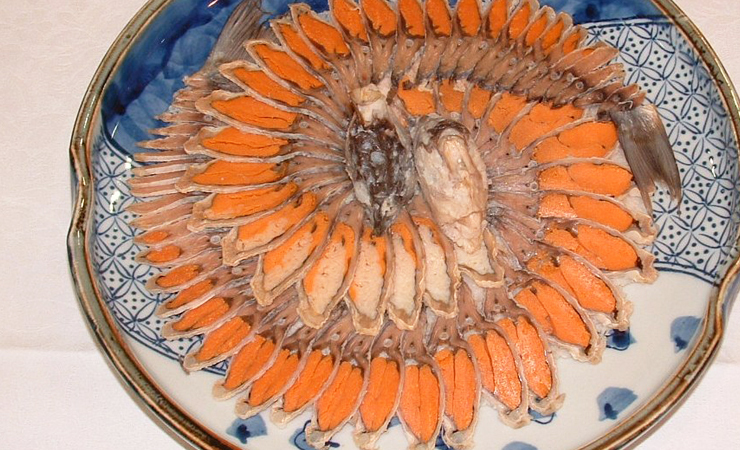 Funazushi is a type of sushi, in which nigorobuna (round crucian carp) from Lake Biwa is salted and fermented with rice for preservation purposes, and it is a famous “smelly” Shiga specialty dish. It goes very well with sake. 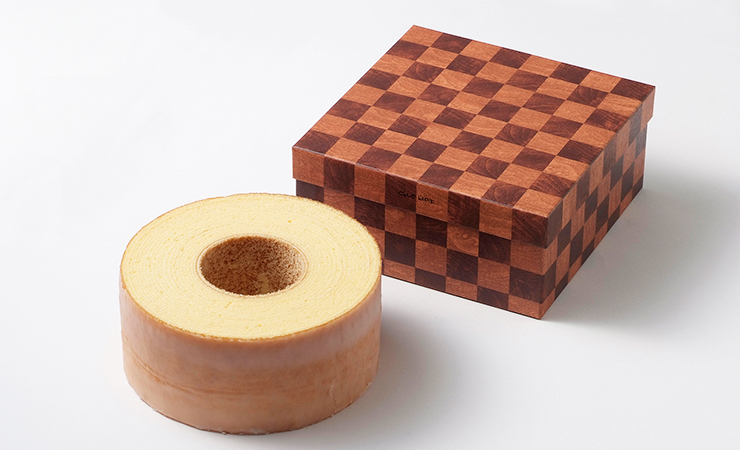 Baumkuchen, a German traditional pastry, from Club Harie, has a surprisingly fluffy texture. 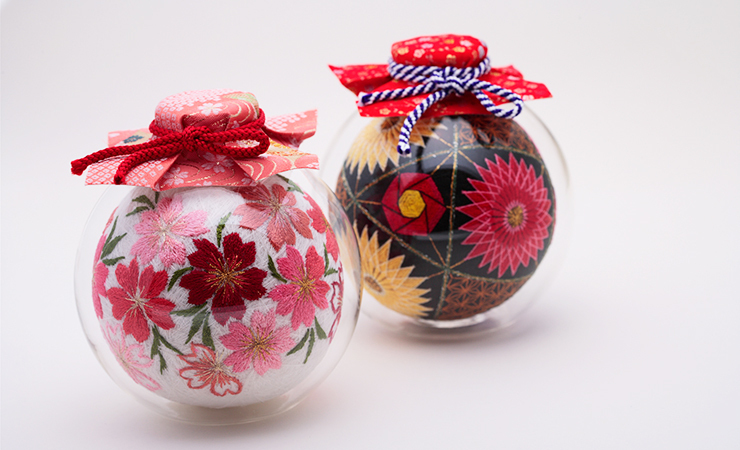 It is available at its branches in Shiga Prefecture (Omihachiman, Hikone, etc.). 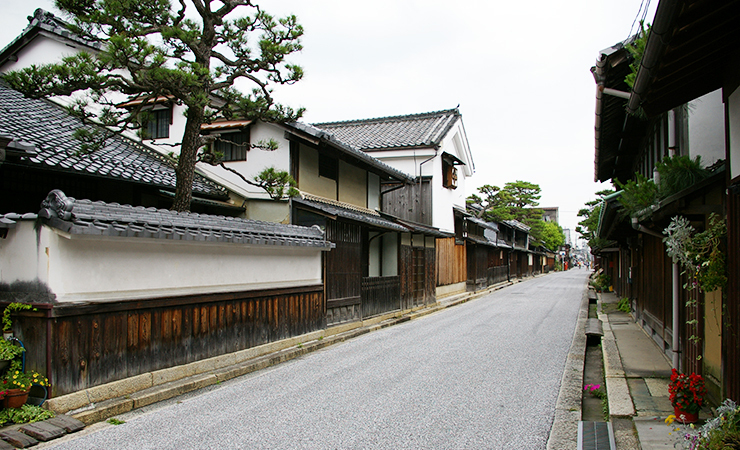 As a castle town formed in the Warring States period (15th-16th century) and that prospered as a town of merchants in the Edo Period (17th-19th century), Omihachiman still retains old streetscapes. The city has many kominka cafés, which are located in renovated old folk houses (minka). Have fun enjoying coffee and a unique atmosphere in these old buildings. 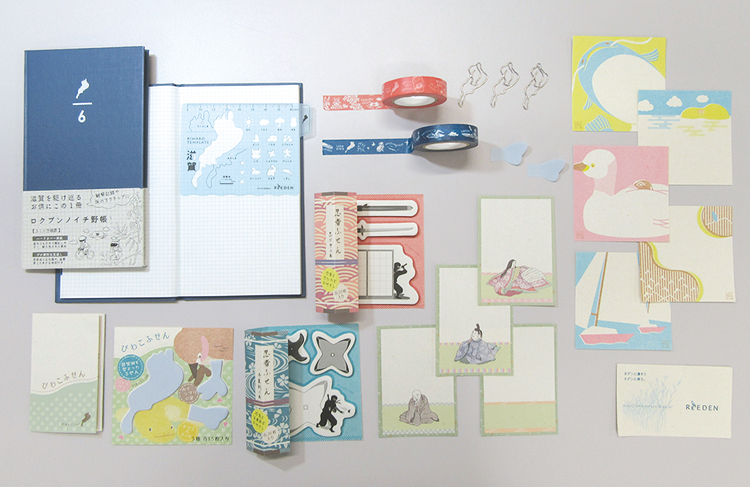 Unique stationery, such as “Biwako template” that allows you to draw the shape of Lake Biwa, Lake Biwa-shaped paper clips, and masking tapes printed with various fish of Lake Biwa and with items related to travelling in Shiga, are available at souvenir shops in Shiga Prefecture. 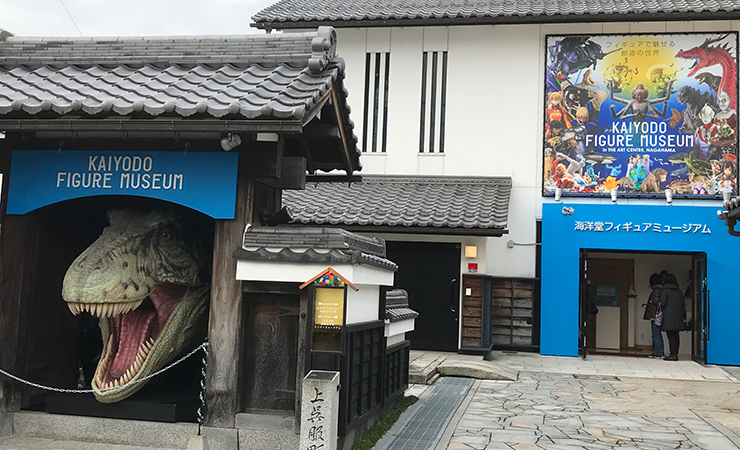 Located in Nagahama City, “Kaiyodo Figure Museum Kurokabe Ryuuyukan” is operated by a globally famous toy manufacturer, Kaiyodo. The wide variety of items on display includes the latest figures, cute animal figures, and anime-based figures. *The information herein is as of May 2018.